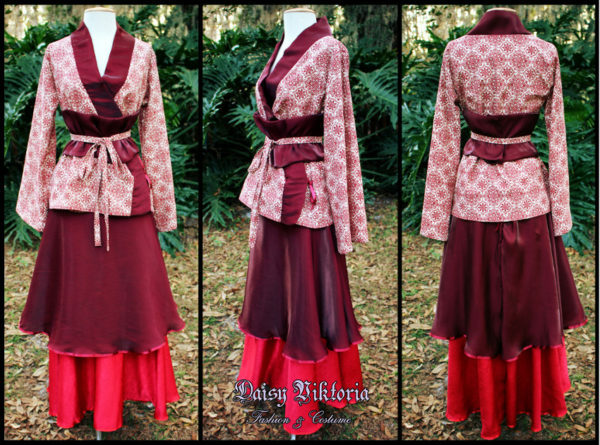 Wear this unique kimono style dress to any party or prom event to stand out! 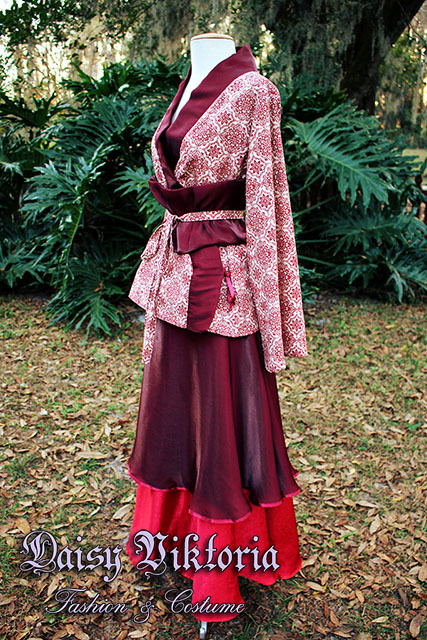 This dress is inspired by kimono fashion and made in separate pieces. 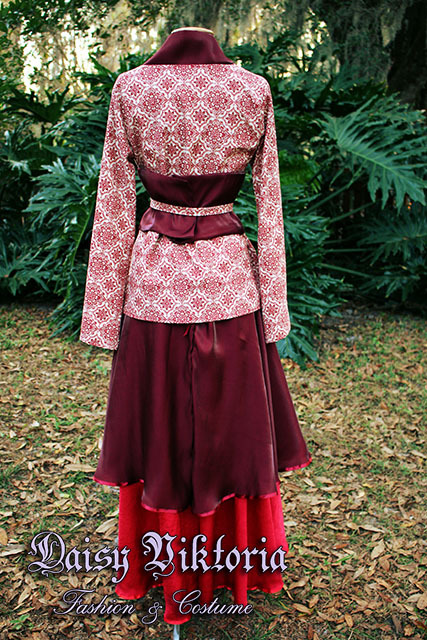 The top is printed cotton, and the skirt is a combination of satin materials with a soft sheen, finished with satin edging at the hems. 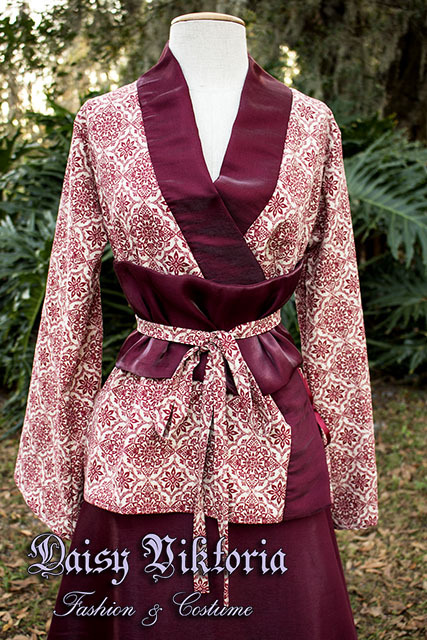 The faux obi belt is made in wine red fabric to match the skirt, with an additional piece matching the top. 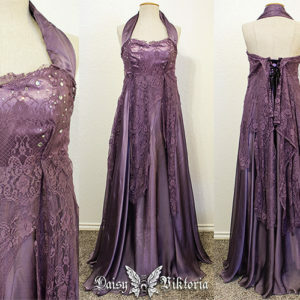 All pieces feature tie closures, making this dress slightly adjustable. Perfect for the unique fashion lover! This is a completed dress, ready to ship immediately.